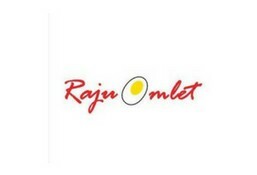 Raju Omlet is currently closed for delivery and it will open at . Inspired from the famous recipe of Mumbai’s 100 year old Willingdon Club. Chooped mushrooms cooked in white sauce layered on Bombay pav topped with half fried eggs & cheddar cheese. The famous street style delicacy is here on public demand. Enjoy minced mutton cooked in light gravy and lots of spices. Minced chicken, cooked in bohri style, spiced with garam masala and red chilli powder. Minced chicken cooked in light gravy and medium spices stuffed inside anda paratha. Another street style favourite, minced mutton wrapped in anda paratha. Spicy hakka noodles cooked with our traditional egg bhurji, bell peppers, onions, tomatoes & spring onions topped with half fried egg. Noodles cooked in our chef’s special chatpata gravy mixed with egg bhurji, bell peppers, onions, tomatoes & spring onions dressed with half fried egg.